Start by rinsing plants with a strong spray of water to reduce the population. 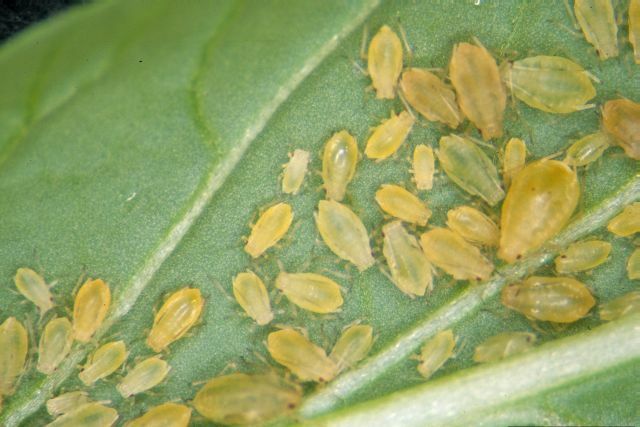 If aphids return, spray with insecticidal soap or horticultural oil. When spraying, be sure to cover the undersides of leaves. A variety of natural insect parasites and predators also reduce aphid populations, which is the main reason to not be overly aggressive with sprays.